Meghann Conter’s personality is magnetic and she has an intuitive sense of knowing who to connect and how to bring value, and humor, to every conversation. Meghann has a strong vision, is confident in her mission, and helps her clients gain confidence in theirs too. 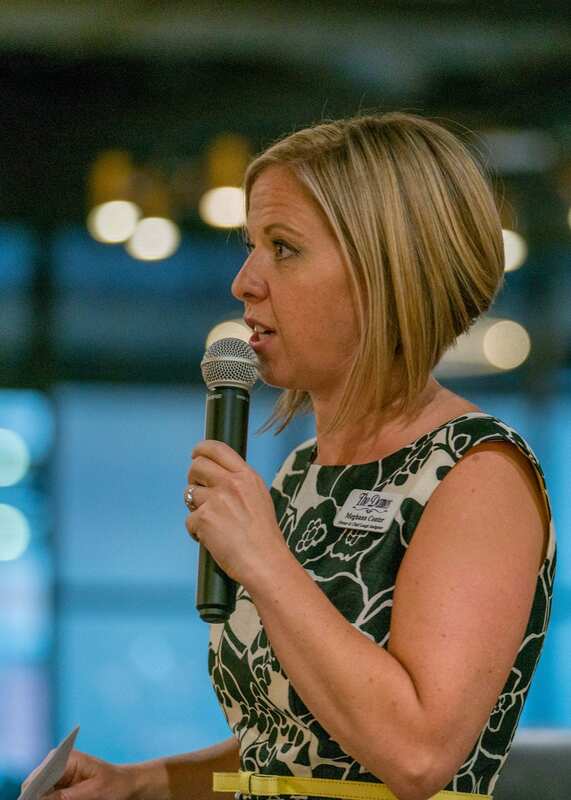 Meghann is the founder and Chief Laughter Instigator at The Dames, an organization that connects women running 6 and 7-figure businesses and leaders in corporations and nonprofits at laughter-filled events and in a nationwide virtual membership community. She empowers companies led by female visionary leaders to achieve their epic mission through systematic, measurable strategic marketing. Her coaching results in higher revenues, reduced expenses, and fierce clarity for her clients and their teams. She loves to laugh and find humor in everything! Some people play the game "six degrees of Kevin Bacon", others play "two degrees of Meghann Conter."